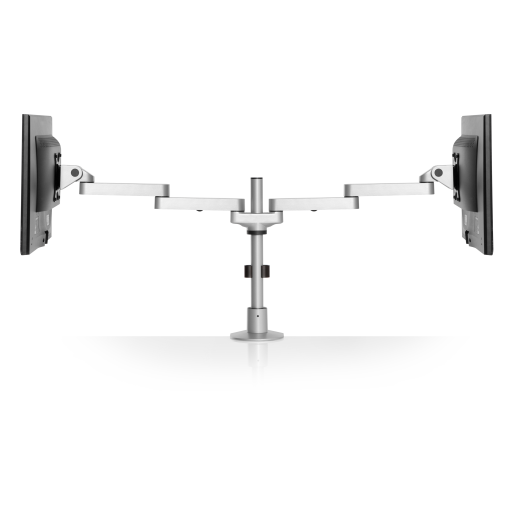 The 9163-FM dual monitor pole mount positions two large flat paneled monitors side by side while saving space. 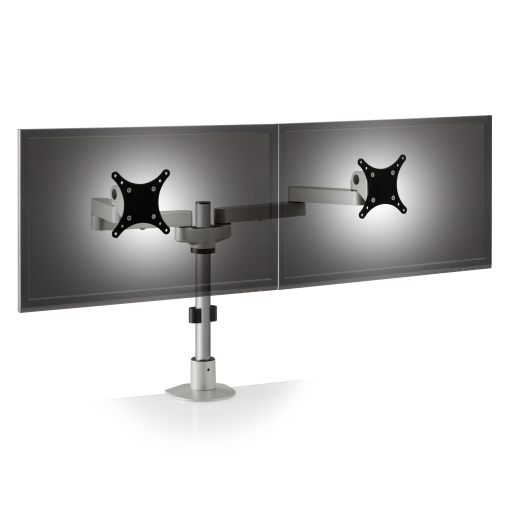 The extra-long dual articulating arms make this mount ideal for large monitors (20 inches or more). 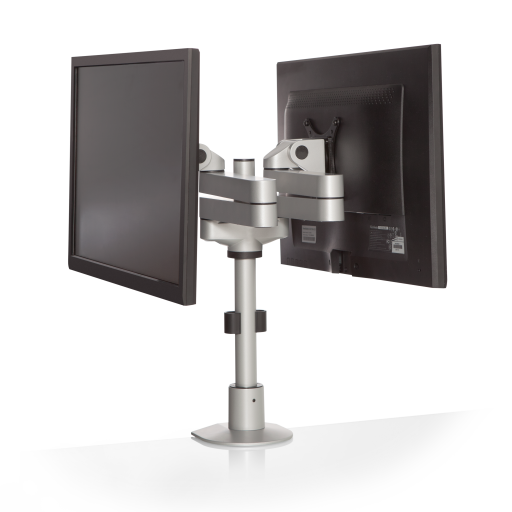 Each monitor can be positioned independently, allowing for quick adjustment, pivot, and placement. 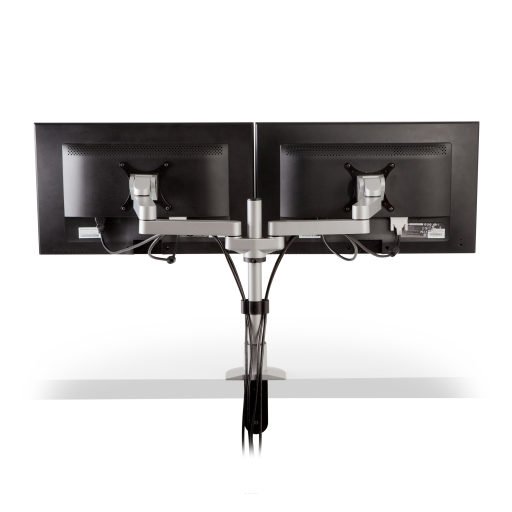 Set the height of the dual monitors at any desired positioned along the included 14″ pole mount.